I like Borneo heritage, filmmaking, and nature. One thing that surprises other Malaysians about me is that I still have one baby tooth left. I'm good at filmmaking, writing, orating, and community building. One thing I'm proud of is that I am trying to break two glass ceilings— one as a woman, another as a filmmaker from Sabah. 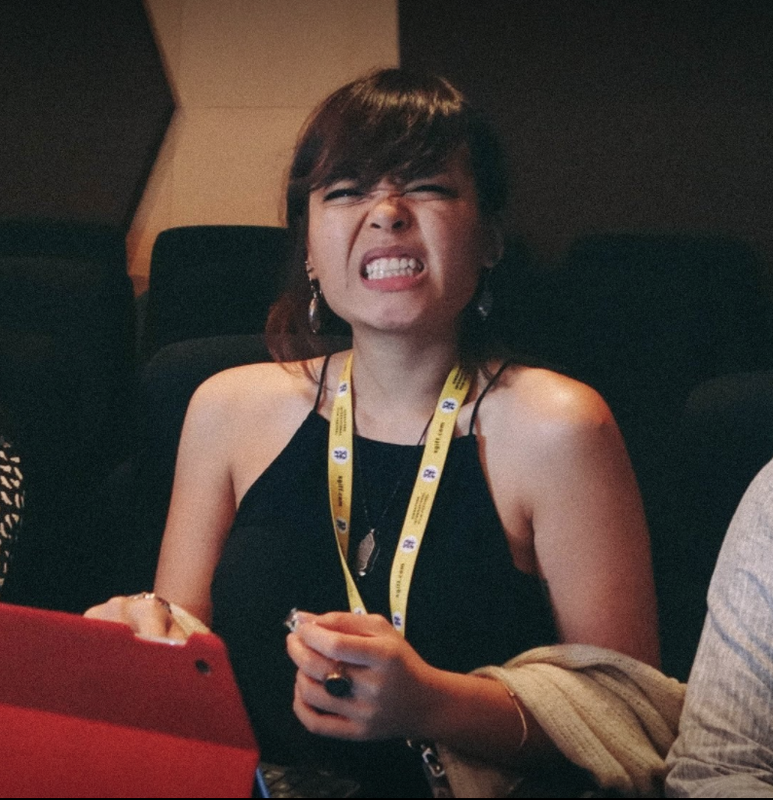 I'm proud to still be making films when the industry makes little space for East Malaysians. As a woman filmmaker, I'm proud to challenge sexual harassment in my industry. It's tough, but I'm proud of being able to publicly form a dialogue about Borneo identity and the relationship between East and West Malaysia. I haven't been perfect at it, but I'm happy to even still be here right now, trying my best. I decided to be a voter because I was very disappointed by how hard it was to get information about elections in Sabah through the media. There were also a lot of foreigners when I went to vote in Sabah, and it was heartbreaking. I don't know if I believe in voting when the electoral roll badly needs to be cleaned up, but I do it anyway for my conscience. I'm most worried about food and water security, religious and racial conflicts, and lack of political freedoms. These issues matter to me because it's atrocious that indigenous communities have to sacrifice their lives and cultural heritage for dams and oil palm land, while people in the cities are not using or distributing our natural resources at an optimal level. Our inefficiency is costly for the environment and is killing the very things that make Malaysia unique. I believe a free press helps to form a healthy and accountable government. It's also key in developing Malaysia into a first world nation. Radical Malay supremacists are the most dangerous people in the country. I wish I knew more about how we manage our natural resources. I want other young people to know that there are young East Malaysians who are fighting tooth and nail to regain our dying cultural heritage. There are also young Semenanjung Malaysians who want to know more about East Malaysia. The internet has allowed for this country to know itself like never before, and I hope it's something we can work towards. There is much to be gained in this relationship that spans across the South China Sea.